The ANGEL wall mounted flueless gas fire is available in two sizes – 1100mm and 840mm wide with either a Satin Black or Brushed Stainless finish. 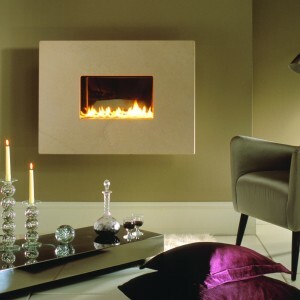 This 100% energy efficient flueless gas fire requires no chimney and has a beautiful open ribbon of flame. Available for Natural Gas or LPG (Calor Gas) and can be shipped to any European Country. The flueless Angel was featured on Grand Designs and is an award winning design. The Angel flueless wall mounted gas fire is available in two sizes – 1110mm and 840mm wide with either a Black steel, Cream steel or Brushed stainless steel finish. 100% energy efficiency, no chimney and a choice of Natural Gas or LPG (Calor Gas) versions. This product has been featured on the Grand Designs TV program. The Angel flueless is equally at home in a modern or traditional home. 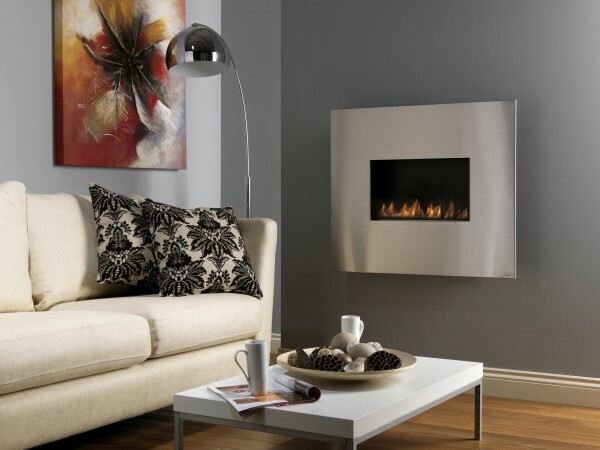 This style of flueless gas fire does not require a chimney or flue system to operate. Using our unique CE approved flueless gas burner with low emissions (no catalytic converters or glass front required), leaving a beautiful open living flame. Furthermore this is a 100% energy efficient flueless fire meaning all the heat paid for stays in the room. The Angel flueless was featured on Grand Designs and is available in various sizes and finishes. 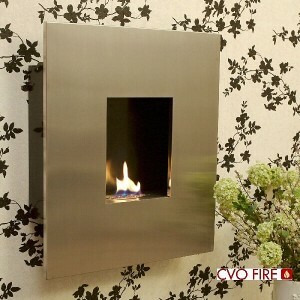 There is also an option to install the flueless fire into the wall using our special recess system. Please review the full technical specification. 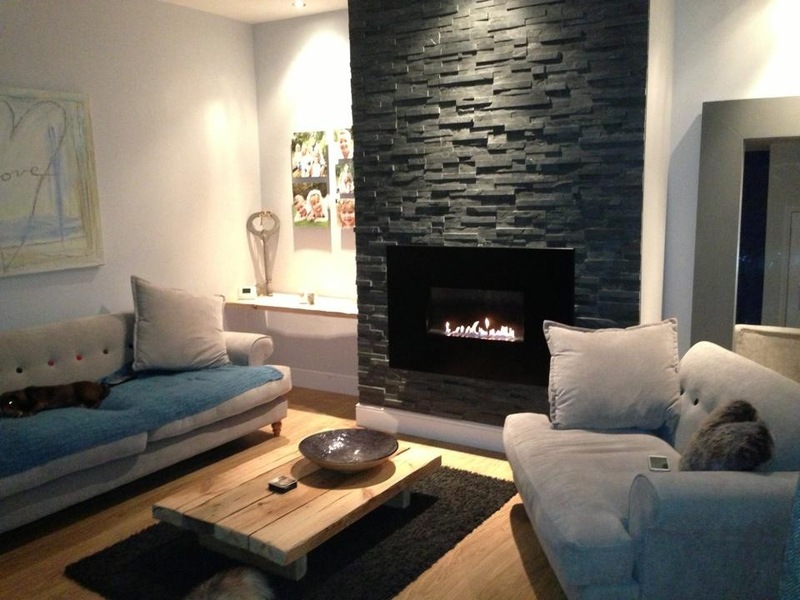 Our flueless gas fire has won many awards and has featured on TV on Grand Designs and The Homes Show. The Angel is one of the slimmest flueless gas fires on the market at only 150mm projection from the wall. 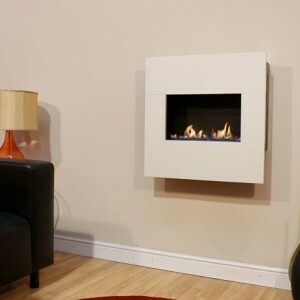 The fire is easy to install, requiring only a gas supply and an air vent within the room to operate. Choose from Natural Gas or LPG/Propane and there are separate heat outputs available. The size of air vent and room size is dependent on the chosen power rating, please read the technical pdf sheets to confirm the most suitable version for your property. 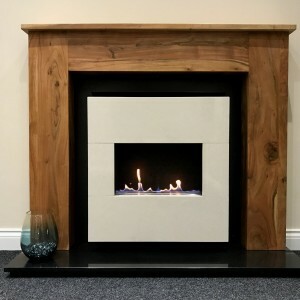 The flueless gas fire can be supplied with a deflector gather to allow a shelf above or with our recess plate and correct planning you can install a TV above this fire. 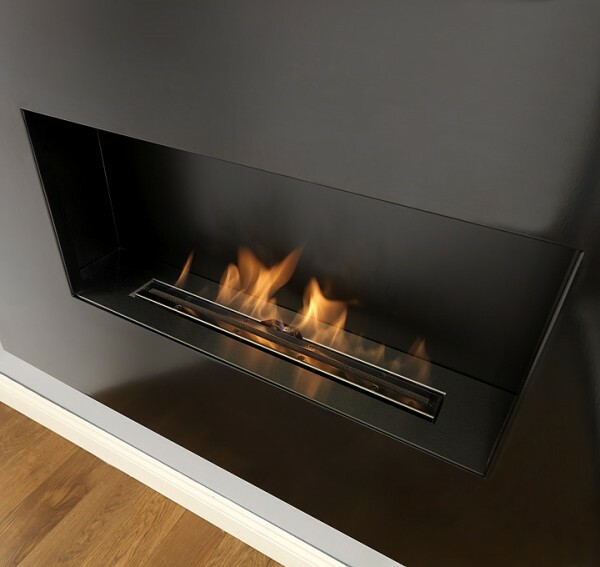 This flueless fire is CE approved and available for shipping across Europe. Fascia: 840mm Wide in Satin Black or Stainless Steel also 1110mm Wide in Satin Black or Stainless Steel. Deflector Gather: The gather must be ordered with the flueless fire and is required if a shelf is to be put above the fire, Also the size of the shelf is specified in the install booklet. Recess System: This is a special system which allows the flueless gas fire to be set into the wall, when buying the recess system the deflector gather cost is included in the price. If you are considering using the recess system to allow a TV to be installed above the gas fire call to discuss the installation requirements and to understand how the flueless recess system works. Power Rating: There are two power ratings, 2.7kW and 3.5kW for Natural Gas and 3.5kW only for LPG. Each power rating requires a different sized air vent and minimum room size. Please read the technical specification or call if you are unsure. If your room is smaller than 100m3 we advise buying the 2.7kW version. Air Vent: The air vent is shown with a 30% discount when purchased with the fire (RRP £45.71) yet if sold separately the RRP will be applied plus a shipping charge. It is advised to buy the air vent with the flueless fire and this will ensure air safety compliance. Fascia Finish: Satin Black – Stainless – Matt Cream. 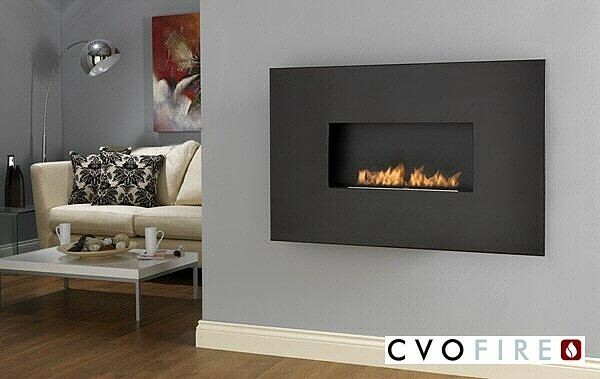 The CVO Angel flueless gas fire is so convenient and makes operating the fire a much easier process for all my family. We have created a hi-tech bungalow to make appliances easier to use and the fire fits in perfectly with the design of our home. After searching round for a new fire , we came across CVO FIRES , and decided to go down to the showroom and have a look round. We have a fairly large front room 33 ft x 12 ft so needed a substantial fire , but also a Flueless Model. We decided on the Angel 1110 + Black Steel Facia after speaking to the salesmen , who was very knowledgeable and listened to our needs. Now the beauty of this fire is that you position where you like because it is flueless. We decided to build a false chimney breast in the perfect part of the room to get the maximum benefit. All instructions and specifications were supplied and were fairly easy to follow. 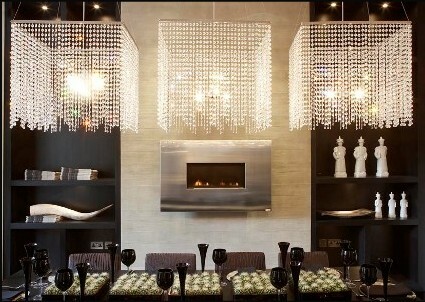 Once the fire was fitted and connected by a Gas Safe installer the look and performance was absolutely STUNNING. It has completely transformed our living room and we could not be happier. We would not hesitate to recommend this company. Sean Akhthar helped us through all aspects of buying the fire and was always available if we had any queries. Many thanks again for all your help. John & Alison.